With the motto of “Have Feet. Will Dance”, the Shiamak Dance movement is making waves and in his words the mission has been to spread the joy of dance and hence the branding. Sometime ago Shiamak Davar revamped his brand identity and Thought Bubbles, the agency floated by former Ogilvy creative director Manoj Motiani, had been handed the mandate for the same. Bubbles has been working ever since towards evolving a singular, dominant brand that Davar stands for and this is projected over all the company initiatives. When he started out thirty years back, western dance was completely unheard of. It was often frowned upon and people shied away from attending classes even as a hobby let alone take it up as a career. But he knew the joy it brought and it was this feeling that he wanted to share. “I understand the power of dance to heal. So from starting out with seven students, five of whom were family and friends, here we are thirty years later with classes in over six countries,” he recalls. Founded in March 2004 to share the joy of dance with not only children at risk but also with individuals from disadvantaged backgrounds, unleashing the power of dance as therapy. For him the word of mouth and availability are what matters for his branding and promotion. When people share real experiences, it makes the greatest impact, he argues. Today, digital is the strongest platform with video content as the most important marketing tool, he feels. “With our classes reaching out to people between ages 4 to 84 years, the promotions are customised to target each age category enumerating the benefits of dance to each of them. Geo-targeting and understanding the local market is extremely important so each area people are aware of the availability of dance classes in their vicinity, he claims. Shiamak Davar - the name is a brand in itself. However, it hasn’t been an easy journey. “The struggle I faced nearly thirty years ago, feels worth it now. In a nutshell, the same people who used to look down upon dance back then send their own children to my classes. There’s been a sea change in people’s perspective,” Shiamak boasts. From business families to policemen, from entrepreneurs to rickshaw drivers; dance has reached out to all without discrimination or judgment. The aim was to make dance available to all so they could find a space to be themselves. This has been his biggest success, he claims. 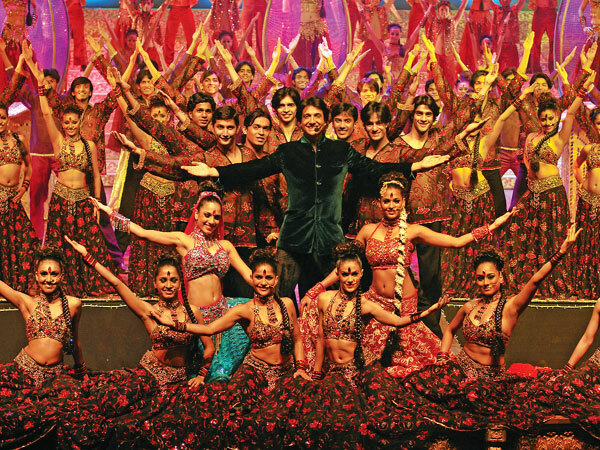 Over the years, Shiamak has developed a style that is unique of him. “For me, each song says something different and it tells me a story through its rhythm. My choreography is an interpretation of that. Whether it was jazz when I started off, to my style of Bollywood Jazz work or my Indo – Contemporary style today, people always come to me and ask we want to learn Shiamak Style or we want to watch Shiamak Style. I think it is the grace, finesse, technique and discipline that people see through the choreography that they like. When people saw my work, they recognised a distinct style and referred to it as the “Shiamak Style” so I think that is how the term was coined,” he reflects with pride. He invests hugely – in human resource for his vision to come alive. As he says, for him the most important investment is in ‘Human Resources’. “My Dance Company is my biggest strength it is them who bring my vision alive. Whether it is showcasing my choreography or teaching dance at my academy and in schools, I invest time and money into training my Dance Company. I am particular about getting the best teachers from around the world to help them hone their skills and keep learning and growing consistently,” he says. Rest is history. And today Shiamak Davar is a huge brand for Bollywood or choreography.